Prior to October 2006 inspections were conducted by the Fire Service who issued Fire Certificates. Fire Services no longer issue fire certificates and those previously in force will have no legal status, therefore the responsible person must carry out a fire-risk assessment. However any fire certificates already in existence may be useful as a good starting point. It has been a legal requirement since October 2006 that a Fire Risk Assessment must be carried out for virtually all building, structure and open space in England and Wales. There are a few exceptions including a single private family dwelling. The legislation in England and Wales covering Fire Safety is the Regulatory Reform (Fire Safety) Order 2005. Similar legislation and requirements apply in Scotland and in Northern Ireland. It is a duty of the “Responsible Person” (see FAQ) to ensure that a Fire Risk Assessment is completed for the premises or demise. 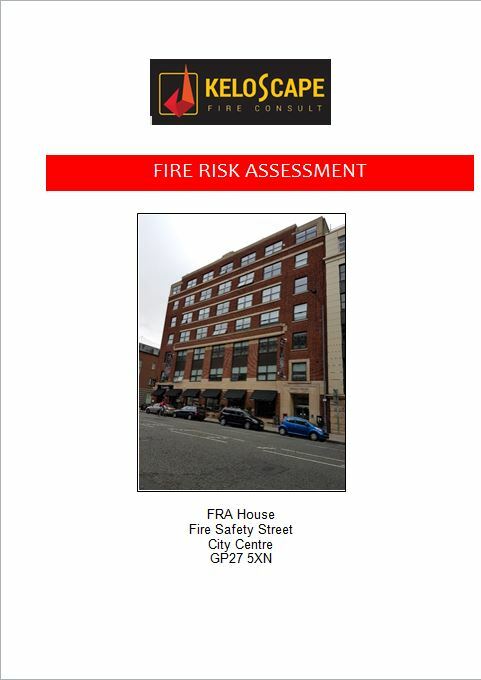 Competency is fundamental in undertaking fire risk assessments. If you have the relevant competencies you may wish to conduct a fire risk assessment yourself but as fire risk assessment can be quite complex it is advisable to engage a suitably accredited professional. KeloScape is also engaged when a client may not have the time or resources to conduct the risk assessments themselves. KeloScape can offer Fire Risk Assessments from £145. Contact us now to book your assessment. You don’t have to be in Gloucester to get a fire risk assessment. Keloscape operate in a large geographic area and all enquiries will be considered. Prices are bespoke to the client being usually calculated on the size of the premise or demise.